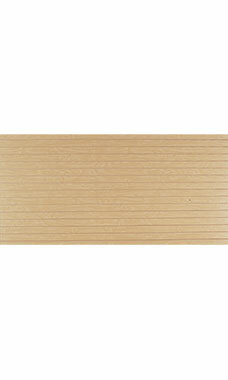 These Maple Horizontal Slatwall Panels are made of 100% recycled materials and have no added formaldehyde. The finish provides a stunning display option for your merchandise. You can also add accessories to enhance the display performance such as slatwall shelves, brackets, faceouts, peg hooks, and other display options. Panel dimensions are 4'H x 8'W x 3/4," 3" O.C. Opening a new store or looking to increase sales? We offer FREE store design consultation services. Click here to learn more. For secure e-commerce and confidential communications. Copyright © 2019 Store Supply Warehouse, LLC. All Rights Reserved.